Designed for indoor use, L.B. 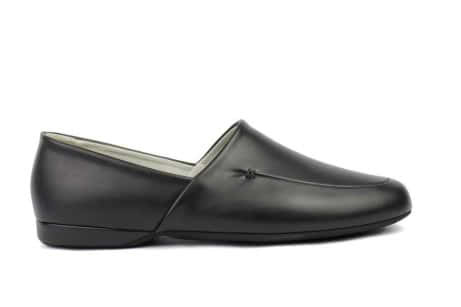 Evans Duke Opera men's slippers hit high notes in style and comfort. Featuring soft leather uppers and lining and foam cushions for extra support and comfort, these slippers have a sleek, sophisticated look. Treat yourself or a loved with these irresistibly stylish men's slippers. Choosing the right size: If you are buying the L.B.Evans Duke Opera for the first time, we suggest buying a half size larger than your normal shoe size. Comments: The quality, style, and price are great. The only thing I wish they had is width EEEE or EEEEE. My feet are so wide, that I had to go to a larger size then I normality wear. Comments: My husband has been wearing these for years and likes them very much. I order the same slippers each time the old ones wear out. However this time I ordered Size 9.5-EEE but received 11-EEE. I returned the 11-EEE but am not sure if I clicked on the exchange box. 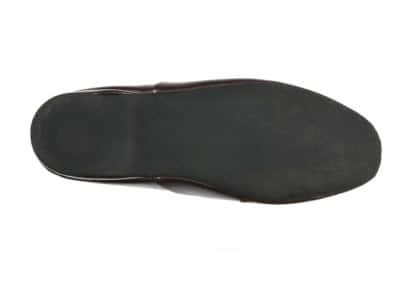 I would appreciate hearing from you when the returned shoes arrive if I must reorder the size 9.5 EEE slippers. Comments: My husband calls these his Lord Grantham slippers. Softest leather inside and out. "Classic opera slipper, great find"
Comments: Didn't think I would ever replace my old opera style slippers. These are stylish & comfy. Great customer service! 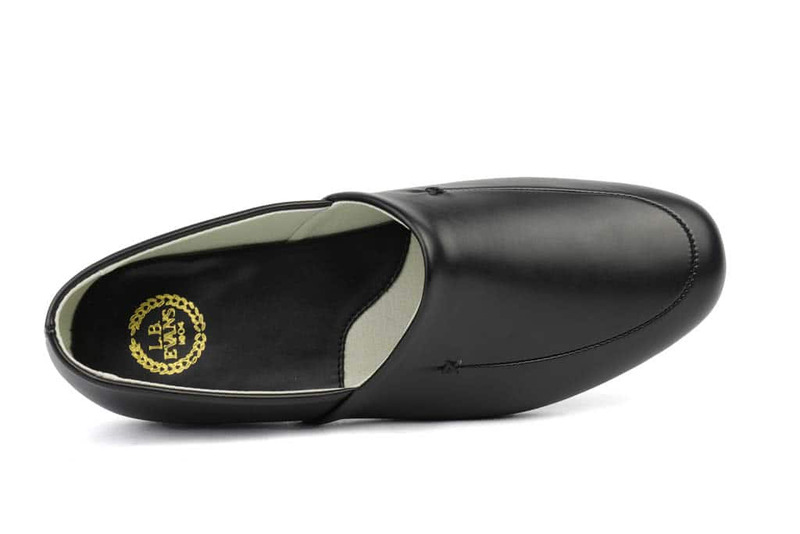 "LB Evans "Opera" leather slip-on slipper"
Comments: Hooray! After buying over the years, deplorable men's slippers,.., I put on my thinking cap, looking in my past when men's slippers were wonderful! Well, I found a brand that was second to none in the fifties. And, that name was LB Evans. My dad bought them his entire life as I had purchased them in my younger years. And, now, I'm buying them again! Cheaply made slippers don't last, but, Evan's slippers do! Comments: They are just what I was looking for and just as advertised. Comments: My husband loves these slippers. Used to buy at Dillards but no longer carried. Very happy to find on website. Delivery very expedient.